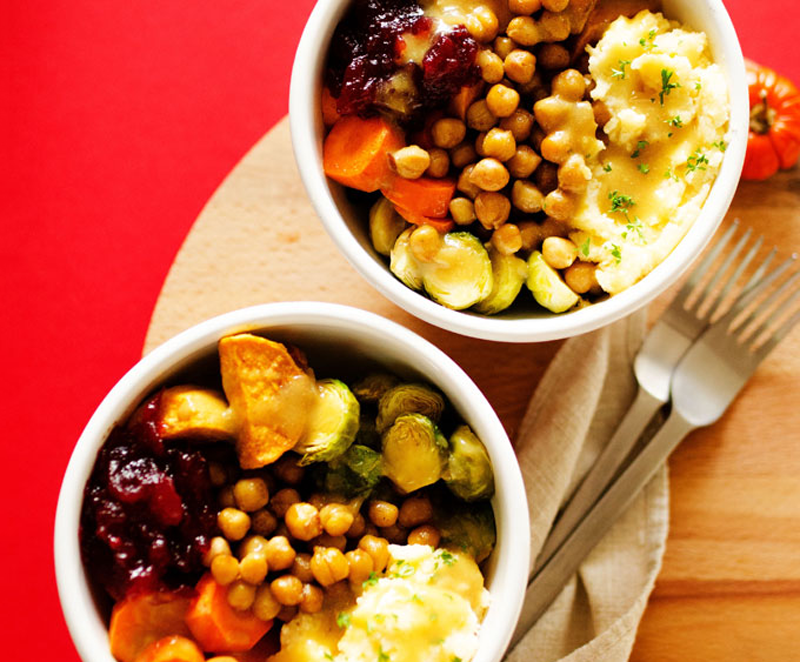 Savor the flavors of Thanksgiving well beyond the festive day with more than a dozen delicious plant-based recipes that highlight holiday leftovers. We all look forward to Thanksgiving leftovers, but this year, we’ll be making extra servings of our favorite dishes to transform into tantalizing meals the next day. From cranberry sauce and plant-based turkey to mashed potatoes and pumpkin pie, these 14 recipes guarantee that you’ll find a way to repurpose your surplus trimmings. Pie for breakfast? We say “yes” with this fun morning treat from Oh She Glows. 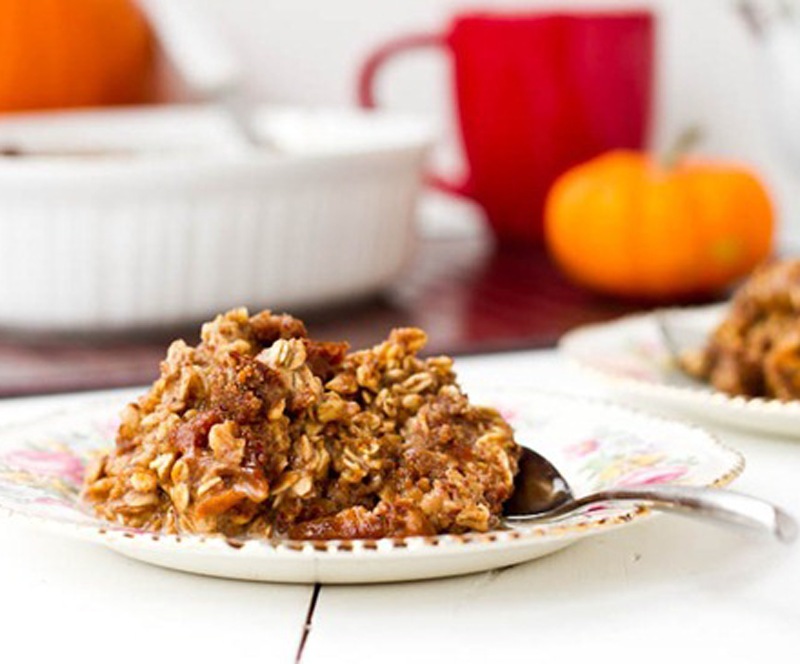 Leftover slices of pumpkin pie are chopped and combined with rolled oats, flaxseed, almond milk, and spices for a delicious treat that is easy as pie to make. This colorful stack from Keepin’ it Kind is the perfect post-holiday sandwich. Tempeh cutlets, green-bean casserole, sweet-potato bake, cranberry sauce, and gravy are layered between gluten-free sourdough bread for a mouthwatering meal that will have you feeling stuffed all over again. 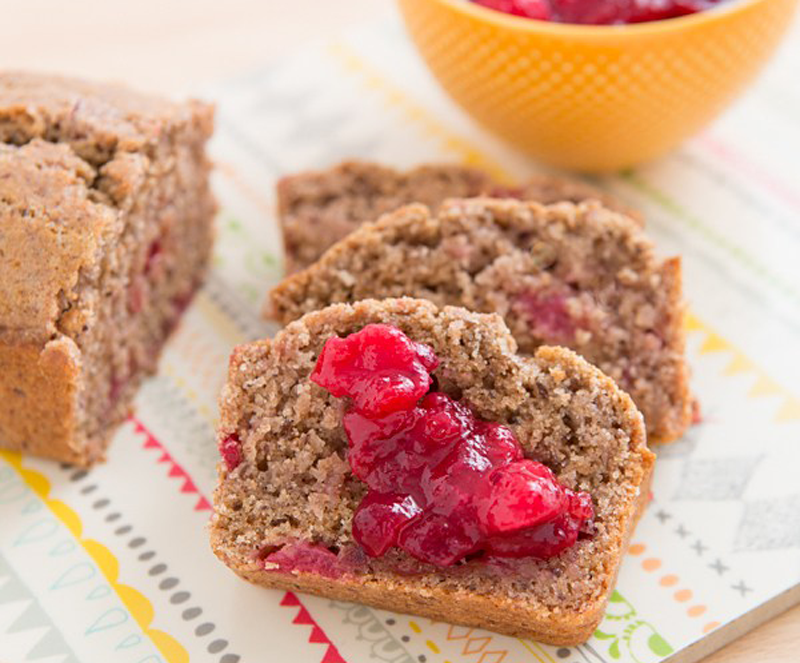 Chunky cranberry sauce gets a makeover in this moist and delicious bread from Oh My Veggies. With a just a few ingredients, you’ve got a festive loaf that you can serve with more cranberry sauce dolloped on top. 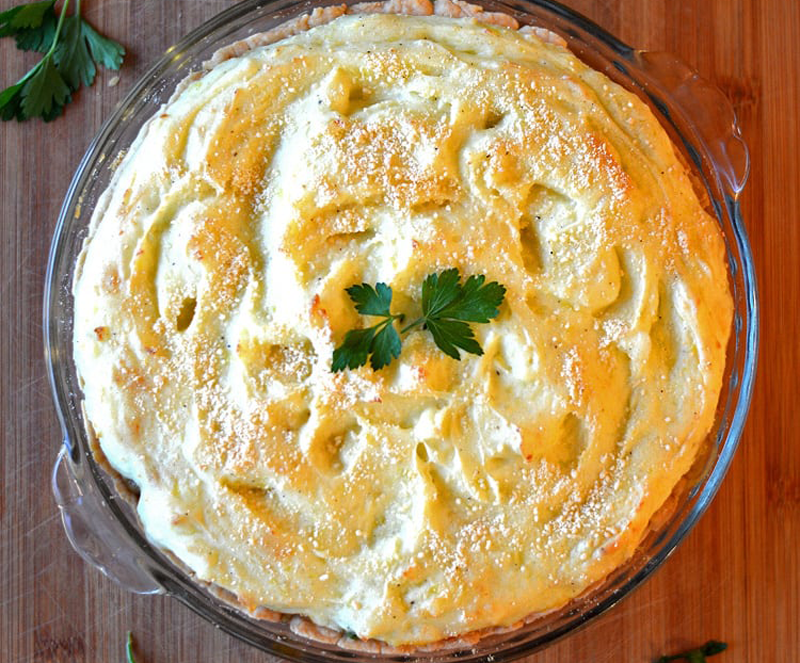 This savory pie from The Veg Life is a mouthful of Thanksgiving in every bite. Spoon leftover glazed carrots, sautéed mushrooms, and green beans into a flaky pie crust. Then, layer with gravy, stuffing, and cranberry sauce before spreading a mound of dairy-free mashed potatoes on top. Sprinkle with vegan parmesan cheese, and you’re ready to celebrate Thanksgiving all over again. 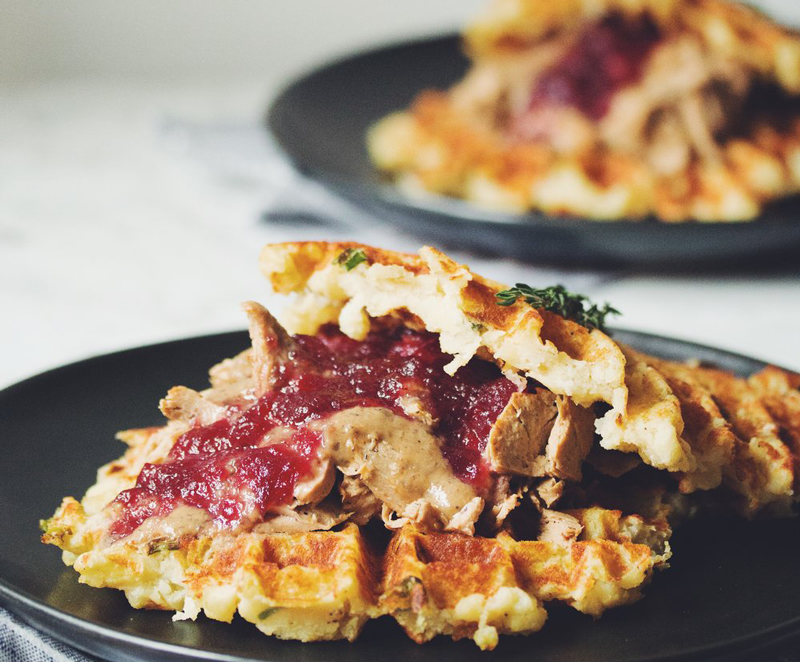 Hot for Food transforms mashed potatoes, plant-based turkey meat, gravy, and cranberry sauce into a savory waffle that you can make with leftovers from your feast (and eat in your stretchy pajamas). For a fun twist on the traditional holiday meal, serve breakfast for Thanksgiving dinner with these as your main course. 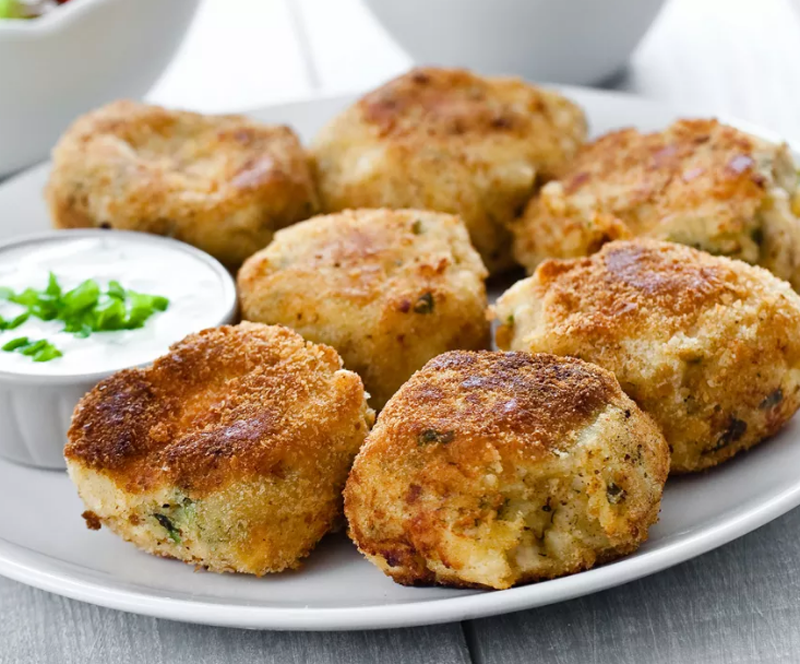 Wilted greens and leftover mashed potatoes are combined with flour and seasonings, then flattened and fried into tasty cakes … all thanks to the Spruce! Even better is the fact that these patties are ready in less than 30 minutes. 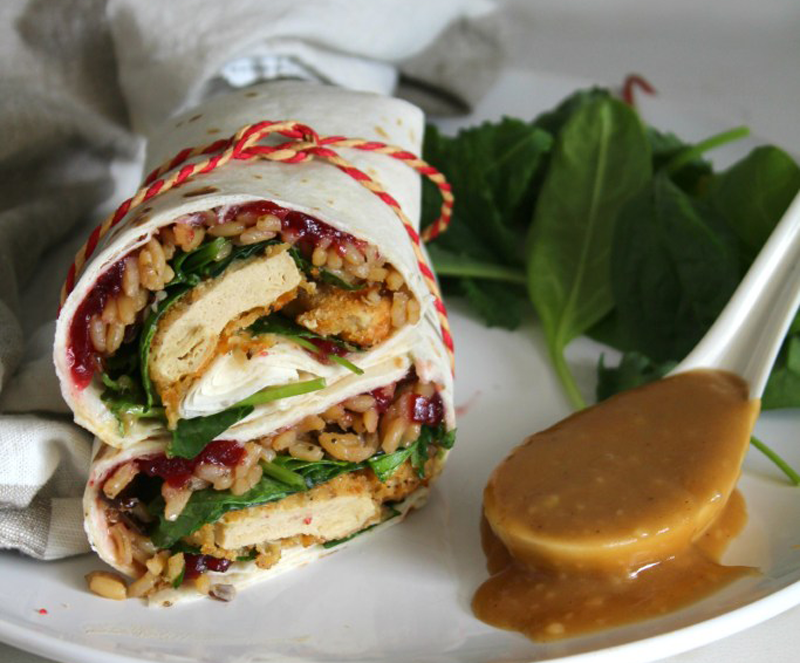 This Savory Vegan has all the flavors of Thanksgiving in these easy wraps. Pile cranberry sauce, leafy greens, wild rice, and plant-based meat onto a tortilla. Then, drizzle with gravy and fold for a quick and easy day-after lunch to trick your taste buds into thinking it’s still the main event. Mashed potatoes are the base for this bowl of Thanksgiving goodness. Live Eat Learn piles hers with Brussels sprouts and carrots, but build yours with whatever extras you have from your celebration. No vegan bowl is complete without a tasty dressing, and this one has a luscious gravy to pour on top. We’re salivating over the hearty flavors in this gourmet sandwich. 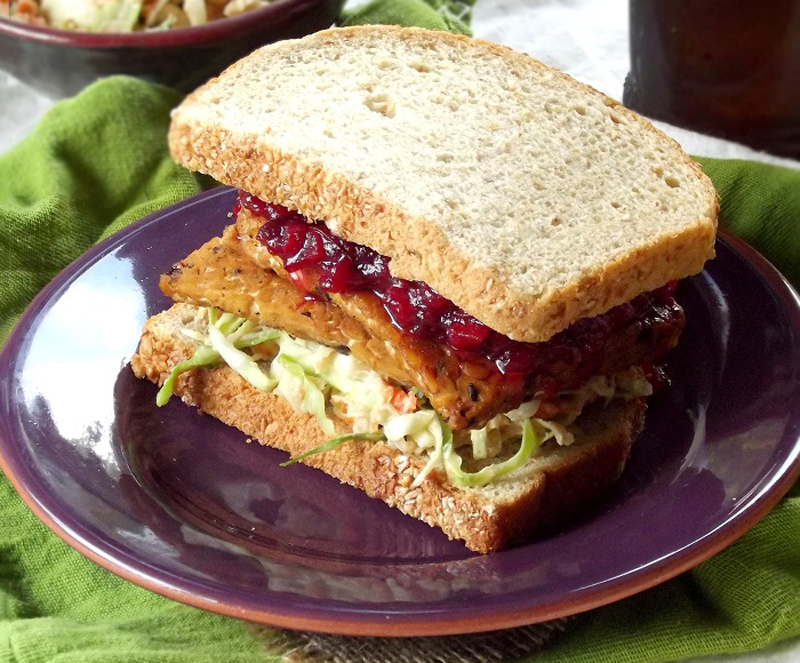 Connoisseurus Veg repurposes leftover cranberry sauce by layering it with grilled tempeh and tangy slaw for a new taste of Thanksgiving. Seitan Beats Your Meat trades gravy for marinara sauce and spreads leftover holiday bounty across a pizza crust. 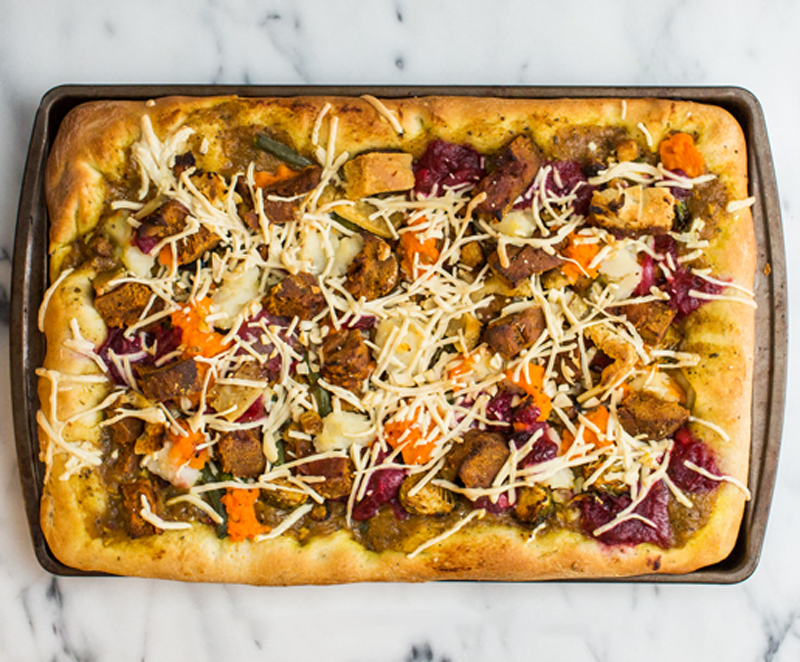 Top with melty vegan cheese, and you’ve got a fun meal to pair with your favorite holiday flick for “pizza and a movie night” during the long weekend. Nourish yourself the day after holiday feasting with this breakfast treat from Blissful Basil. 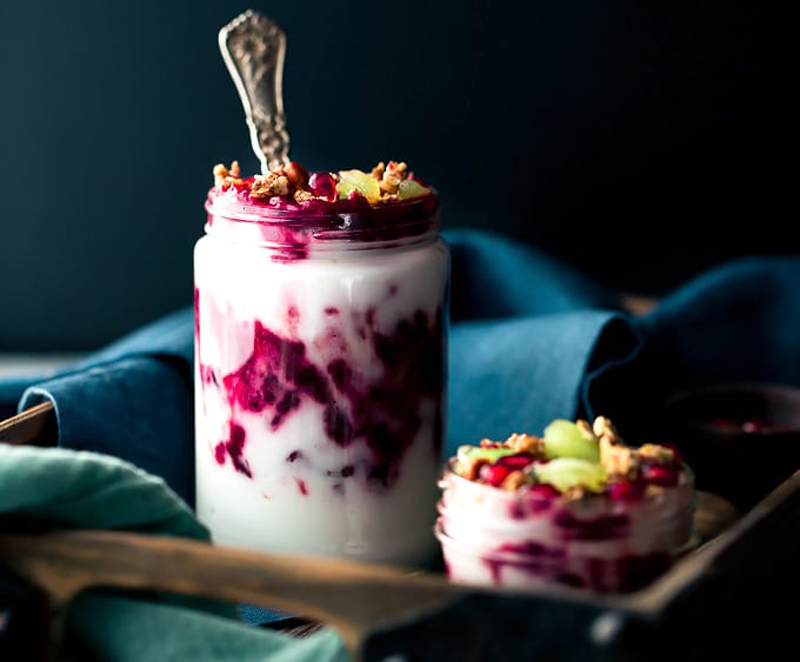 Cranberry sauce and homemade gluten-free pecan granola are layered between spoonfuls of dairy-free yogurt, while pomegranate seeds and diced kiwi add an elegant finishing touch. 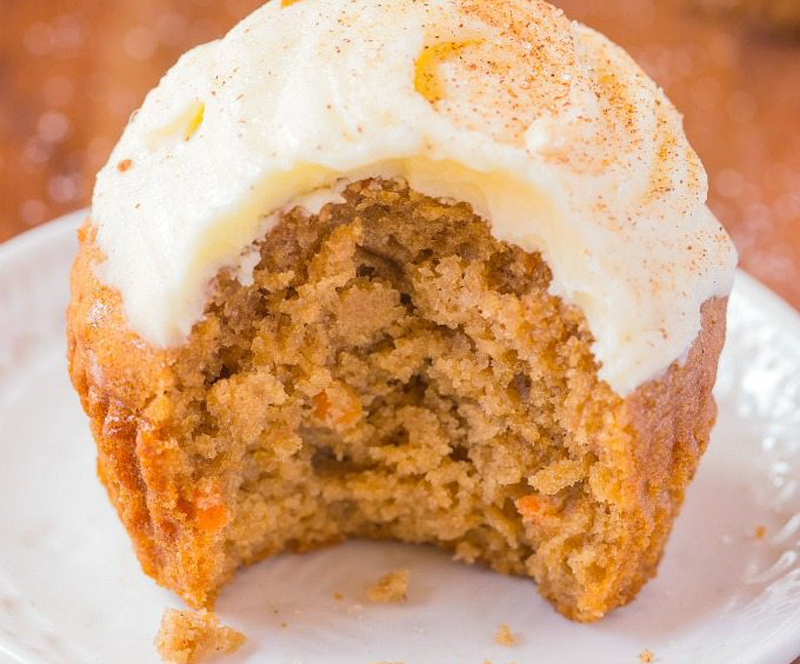 These flourless treats from The Big Man’s World are quick and easy with leftover mashed sweet potatoes, and are made without butter, oil, or sugar, and are naturally gluten-free, vegan, sugar-free, and dairy-free. Toss all the ingredients into a blender for a no mess, no fuss, moist and fluffy snack.